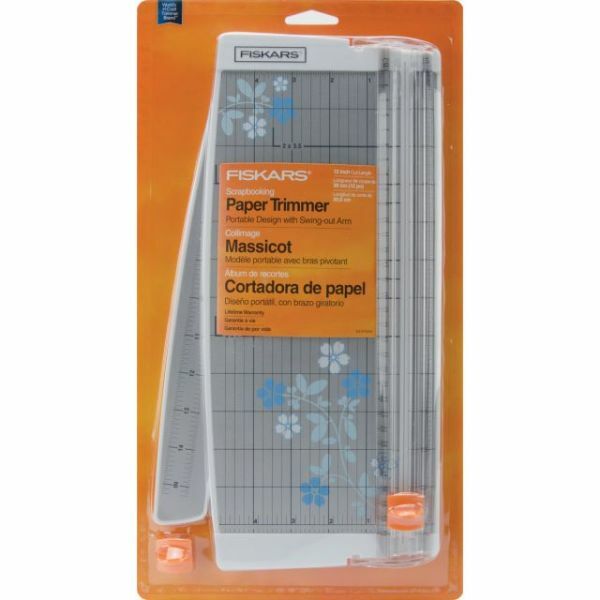 Fiskars Portable Scrapbooking Paper Trimmer 12"
Fiskars Portable Scrapbooking Paper Trimmer 12" - FISKARS-Euro Paper Trimmer. This trimmer features the triple track blade and rail system, a swing-out arm that extends the measuring deck to 15 inches, an ergonomic carriage for a better grip while cutting, and rubberized feet for stability. The measuring deck has 1/16 inch increments and common card sizes for precision measuring. 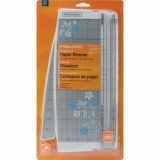 This package contains one paper trimmer (14x6 without swing arm), and two blade carriages. Imported.